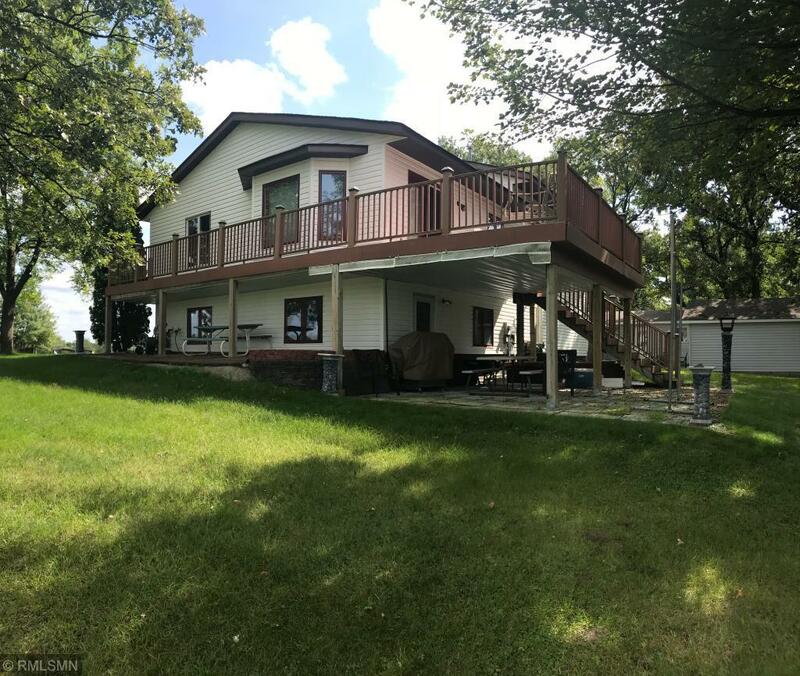 This property is situated next to three lakes: Big Lake, Mitchell Lake and Blacks Lake, which is a shallow wildlife pond back yard. From the kitchen table you can watch wildlife on Blacks Lake, turn your head and watch boaters and walkers on Big Lake across the street. There is a dock spot for this home, but the dock itself was sold. The home is a normal split-level home with a large maintenance-free deck which wraps down the side of the home. It's a pleasant place to sit and think and relax.